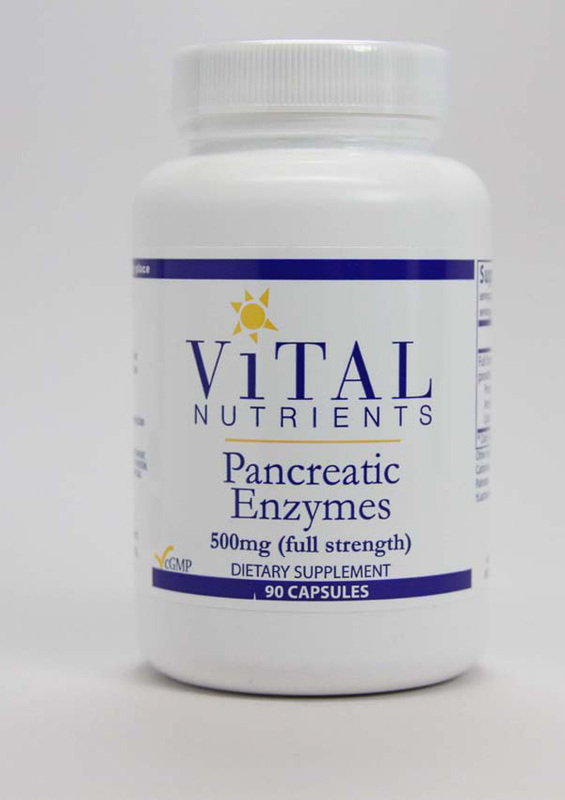 PANCREATIC ENZYMES supports healthy digestion by supplying natural enzymes that are secreted by the pancreas. 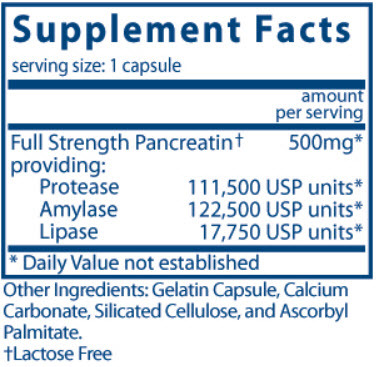 These enzymes are essential to the breakdown and absorption of food and its nutrients.? It supports the normal digestion of proteins, fats and carbohydrates. Recommended Dosage: 1 or 2 capsules after a meal, or as directed by a healthcare practitioner. If pregnant, consult your physician before taking.